OLD SAYBROOK – During March, the Marshview Gallery at the Estuary Council of Seniors will feature the art of Robert Langer. A reception to meet the artist will be held Friday, March 11, from 5 to 7 p.m. All are welcome. Refreshments will be served. Robert Langer is a graduate of Art Instruction Inc. with a diploma in commercial art. He studied at Paier College in Hamden for two years and is an elected member of several shoreline art societies. He has taught classes in pastel at Artisans Harbor in Old Saybrook and is currently teaching at Indian River complex in Clinton. 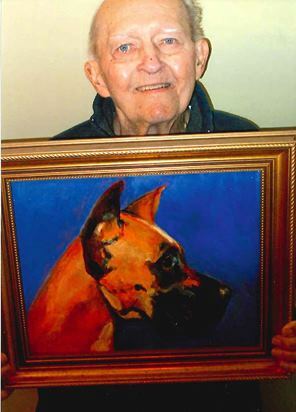 His subject matter and media vary, but pastel, oil and acrylic are his favorites and animal illustration is his forte. During the summer he takes small groups out on location to paint plein air subjects. His work has been exhibited in banks, libraries and galleries along the shoreline. The Marshview Gallery at the Estuary Council of Seniors, Inc., 220 Main Street in Old Saybrook, is open daily, Monday through Friday from 8 a.m. to 4 p.m., and Saturdays from 8 a.m. to noon. All ages are welcome to view the gallery.